With this new release we have a mixture of small improvements and fixes. Notably we had an ongoing issue with SongKong support files that they could be too large to send by email, so then customers had to use a 3rd party file sharing service such as DropBox and if they did not have such a service setup already this could be difficult. Now Create Support Files uploads the support files directly to the JThink server, and an email notification is sent to me informing me when it is done. This is much simpler, but it is still helpful if this is the first communication you have had with Jthink to send an email to support detailing the issue and why you have sent the support files. Your license is now stored in license.properties rather than songkong.properties. This change should occur unnoticeably. 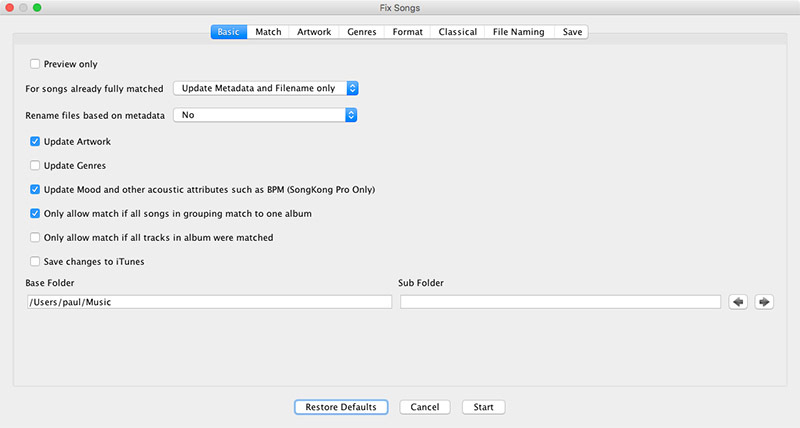 But it paves the way to allowing multiple different SongKong configuration files in the near future, for example we could have a configuration files for using SongKong with MinimServer and another for use with iTunes. We have reduced the number of tabs from twelve tabs to eight tabs. Hopefully this should be a bit less daunting for new users, remember the defaults work well for most customers. The latest version of Windows exposed a bug in Java, for some users this caused a serious issue when opening folder dialogs. Oracle fixed this a while ago but we have been waiting for some time for them to actually release the fix, but now they have done so and it is incorporated into this release. For Classical Music the artist field was not always being set with the correct value according to the Classical Track Artist option, this is now fixed. 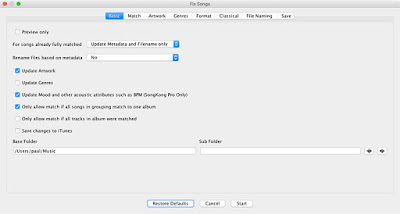 We have improved how this option works so that it acts more sensibly when your songs are matched to just one disc of a multi disc multi composer box-set, and we have also improved adding composers from multi composer single disc releases as well. Usually Mp4s use a 4 byte field to store the length of the audio metadata, but it has become possible to use an 8 byte field instead. This is only required when the data is longer than 4GB and is primarily for use in video but some applications use this field for audio that is less than 4GB. Until now SongKong could not read such files, but now it can.